The Trailer Of Luka Chuppi Is Here And It's The One Wedding Film We're Not Missing This Year! 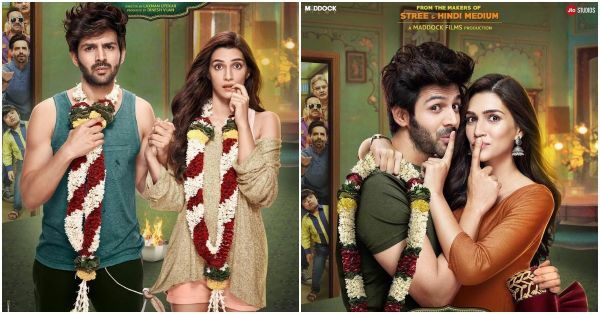 ThisThe drama packed trailer of Kartik Aaryan and Kriti Sanon starrer Luka Chuppi is out and it looks every inch promising. The trailer opens up with Kartik aka Guddu proposing Kriti aka Rashmi for marriage who boldly turns it down and suggests to test the water before taking the leap. From here starts the funfilled rollercoaster ride as the couple gets into a live-in-relationship. But don't be fooled, this ain't like any other live-in! Watch the trailer to see exactly what we're talking about! Directed by Laxman Utekar and produced by Dinesh Vijan, Luka Chuppi also stars Vinay Pathak, Pankaj Tripathi, and Aparshakti Khurrana in important roles. The movie will hit the theatres on March 1.